Situated on the celebrated Rajpath in New Delhi, India Gate, originally known as the All India War Memorial, is a famous monument built as a mark of respect towards the Indian soldiers killed during World War I and the Afghan Wars. Constructed during the times of British Raj in India, the foundation stone of the structure was laid on 10 February 1921 by the duke of Connaught and was completed in the year 1931. The names of hundreds of soldiers can be seen inscribed on its giant walls while the Amar Jawan Jyoti or the flame of the immortal warrior lights underneath, burning constantly since the year 1971. 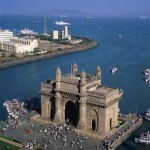 The Gateway of India is probably named so as it is the first sight welcoming the eager eyes of visitors approaching Mumbai through the sea route. The 26 mts high yellow basalt and concrete structure was built to commemorate the visit of King George V and Queen Mary. Designed by George Whittet, the construction of the monument was started in 1911 and completed in 1924, the total construction cost coming to around 21 lac Indian rupees, mostly borne by the Government of India. The last British troops to leave India passed through the Gateway of India in a huge ceremony on 28 February 1948. One of the must visit attractions while on a visit to the country is the 400 year old monument Charminar, also sometimes known as the Mecca of the south. As the Statue of Liberty is to New York and Eiffel Tower to Paris, the Charminar has over the years become synonymous with the city of Hyderabad. The behemoth of a structure was built by Mohammed Quli Qutub Shah in 1591 to celebrate the eradication of plague from the kingdom. It is also said that having madly fallen in love with a Hindu lady Bhagmati, the king built the monument at the same place where he saw Bhagmati for the very first time. 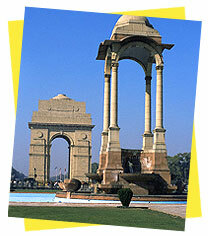 The Mughal rulers have been known for their ambitious and amazing construction projects. One such architectural marvel situated in the southern part of Delhi is the Qutub Minar. Fascinated by the famed Minaret of Jam in Afghanistan, Mughal ruler Qutub-ud-Din Aibak set out on a task to construct an even higher structure and thus the construction of the Qutub Minar commenced in 1193. Work on the ambitious project received a set back with the death of Aibak but was soon restarted by his successor Iltutmish and completed by Firoz Shah Tughlaq. The 72.5 mts high minaret is believed to have been built as a victory tower. 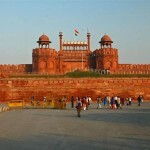 Emperor Shah Jehan constructed the most splendid monument, the Red Fort in 1638 A.D. This colossal built in red sandstone is the largest of the Old Delhi’s monuments and is also known as Lal Quila. It is girdled by a stone wall of about 2.4 Kilometers in circumference, and varies in height from 18m on the river edge and 33m to the city corner. The fort essentially reverberates the grandeur of the Mughals era and leaves many a visitor in stupefaction and breathless. 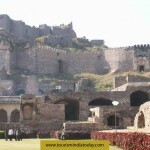 On the western outskirts of Hyderabad, at a distance of just 11 km from the city centre, lies the majestic Golconda Fort perched atop a granite hill. Built during the 16th century by Mohammed Quli Qutub Shah, the 400 years old monument is known for its architectural grandeur and an indigenous water supply system. The munificent fort is famed for its military architecture, built to withstand enemy attacks of the severest nature. The imposing structure consists of a number of gigantic gateways. The fateh darwaza or victory gate is known for its acoustics properties where even a slight sound can be heard as far as the Balahisar Baraderi. This acted as a danger sign for the residents in case of an enemy attack during the past times.